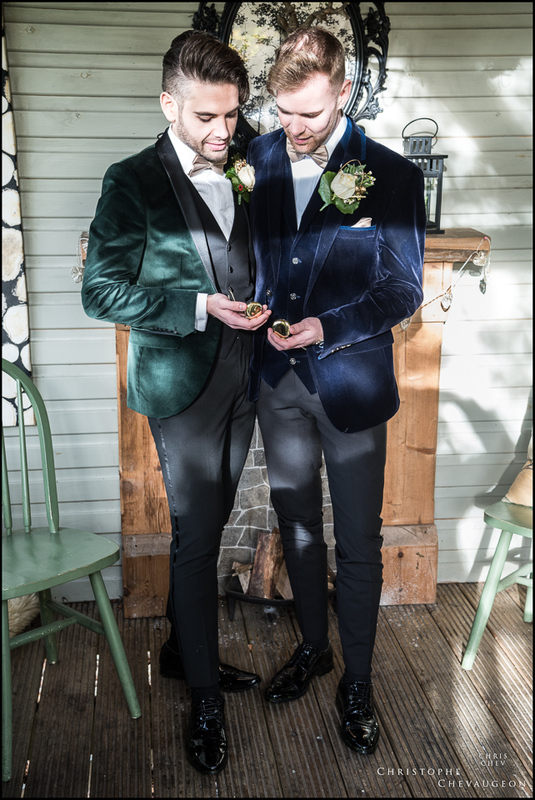 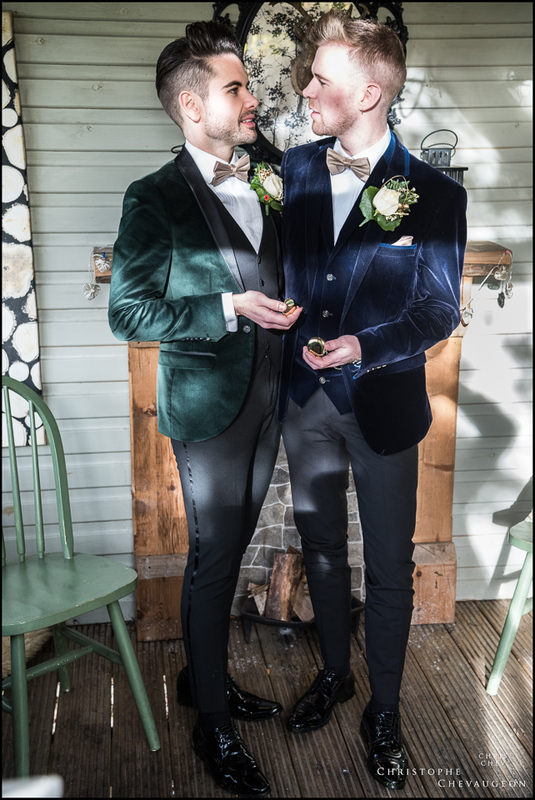 While Chris was getting ready at the family home, I arrived early at Eslington Villa to capture Ross and groomsmaids getting ready . 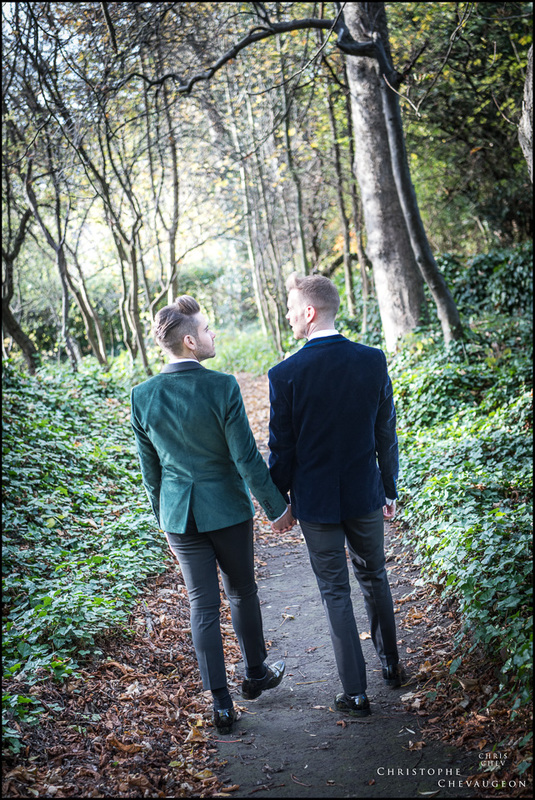 It was a crisp, fresh and sunny morning and the leafy grounds of the Villa were in their full autumn colours. 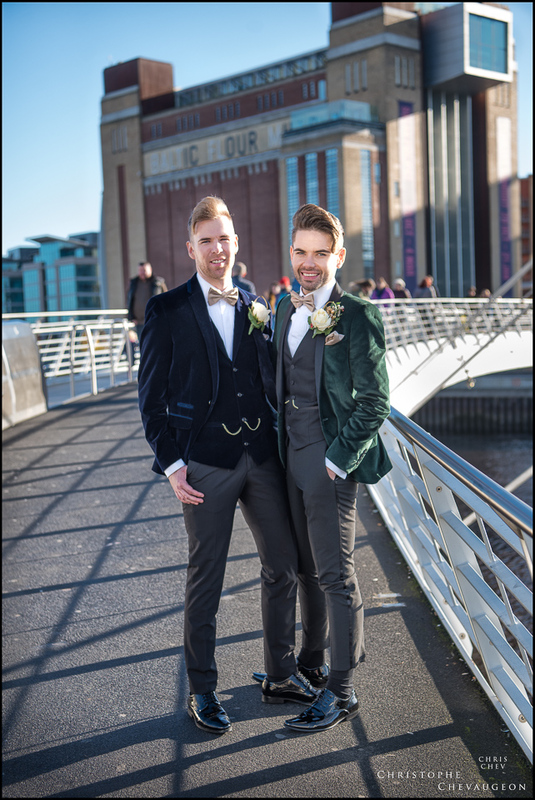 Once all the guests arrived, the Wedding Party made its way in style on a red double-decker to the Malmaison where Chris was awaiting his groom. 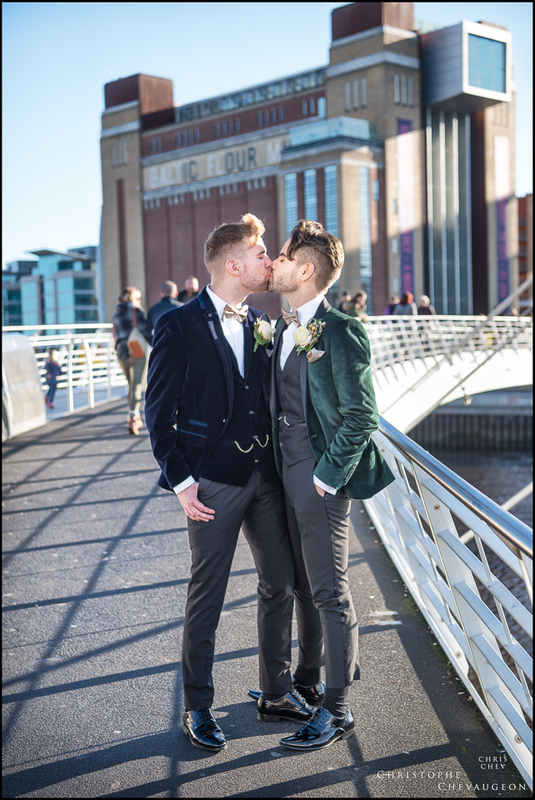 Fittingly, the ceremony started with two minutes silence to remember the Fallen. 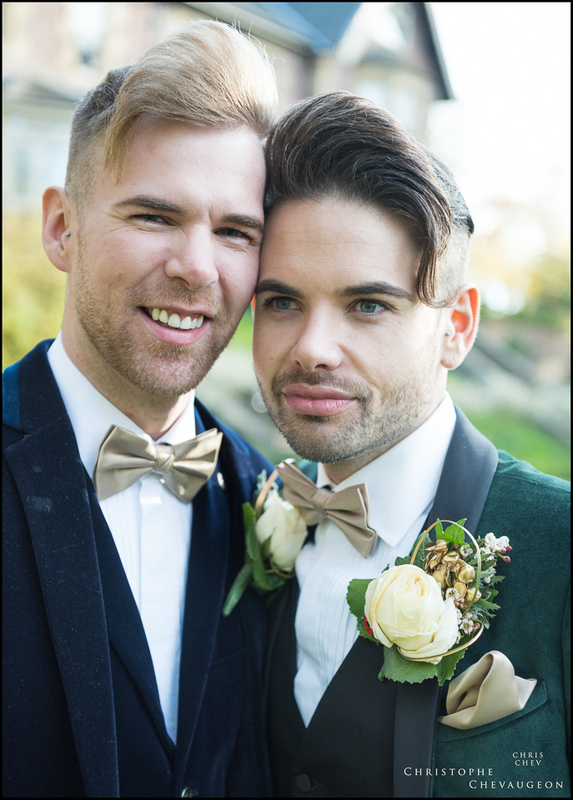 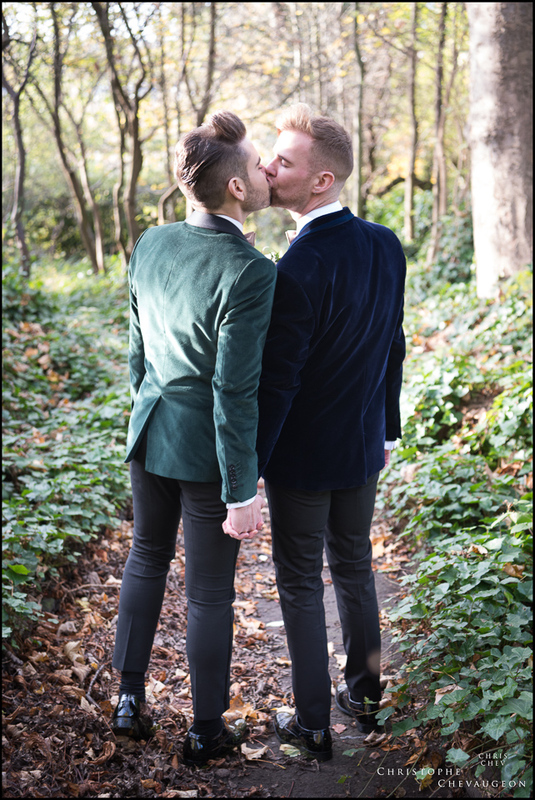 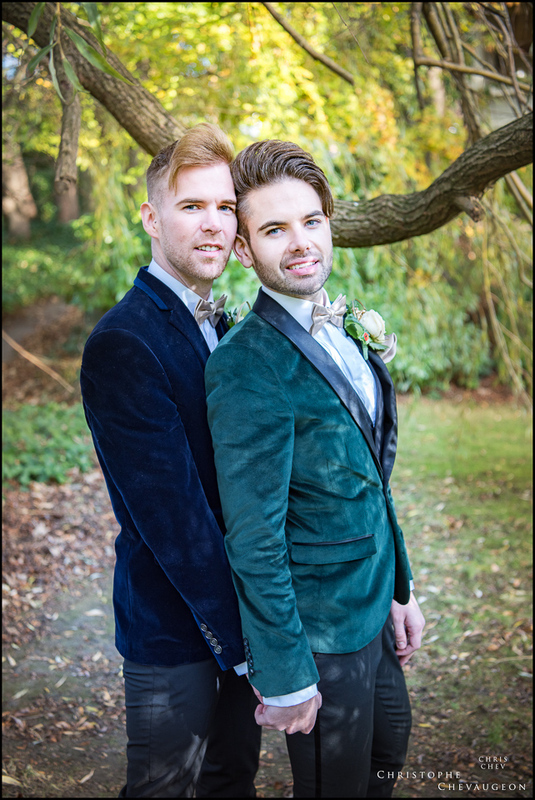 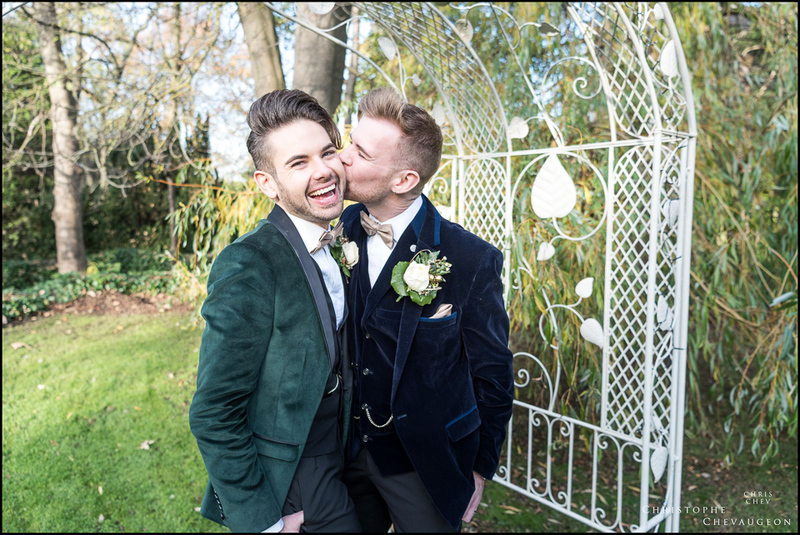 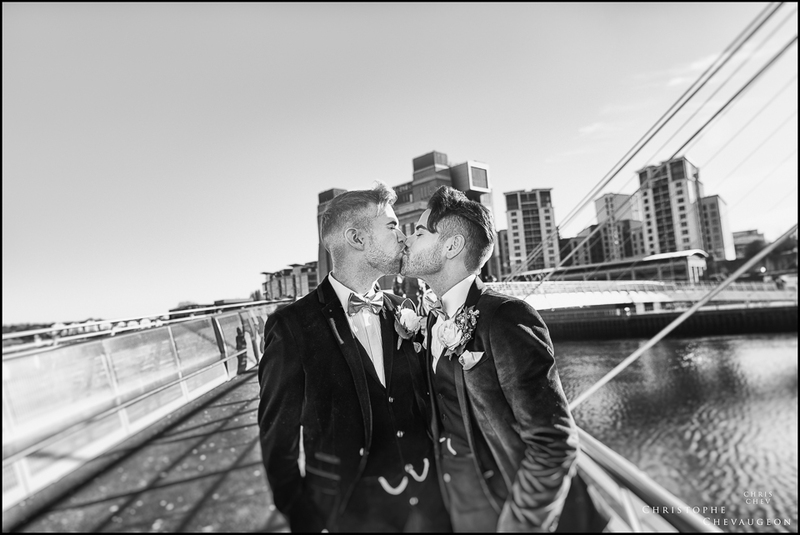 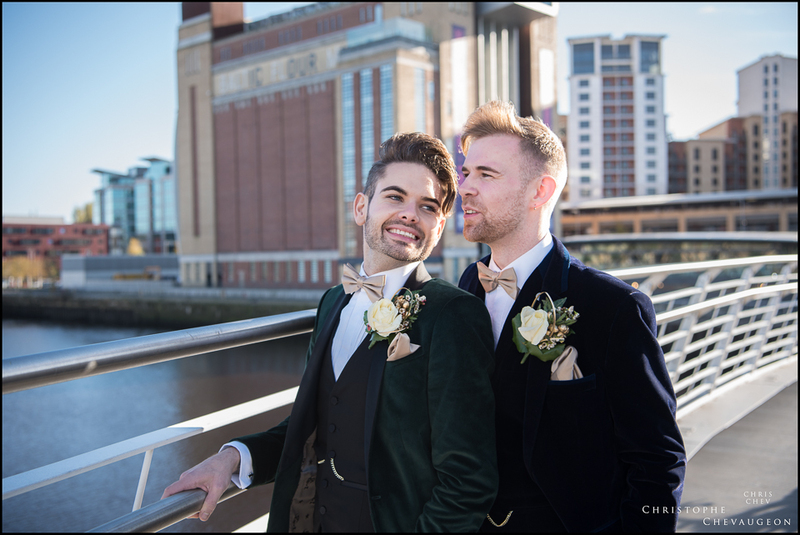 After a very emotional and joyful ceremony, Chris , Ross and I made our way to the Millennium Bridge for a few shots of just the two of them. 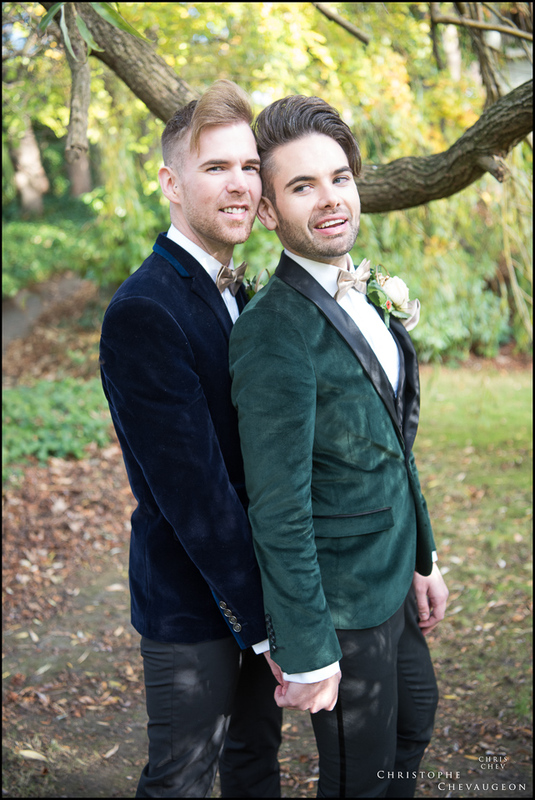 We even grabbed some group photos in front of the Bus before the guests hopped on to return to the Villa. 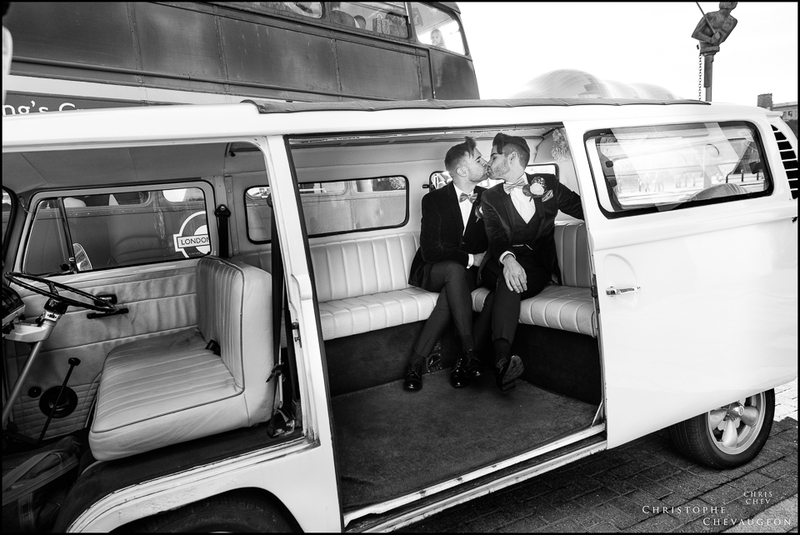 Mr and Mr had other travel arrangements: a smart Volkswagen mini van just for them. 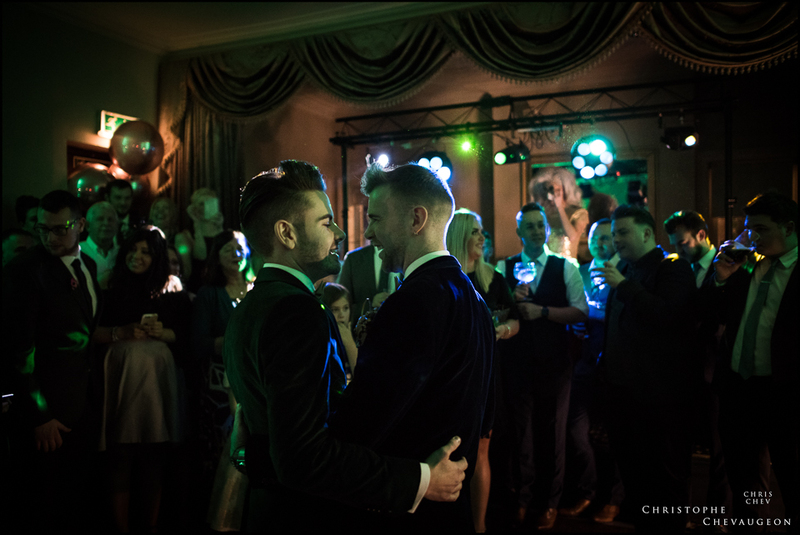 On return to the Villa, the Newlyweds treated their guests to drinks and live music in the warm, comfortable and cosy settings of the Villa. 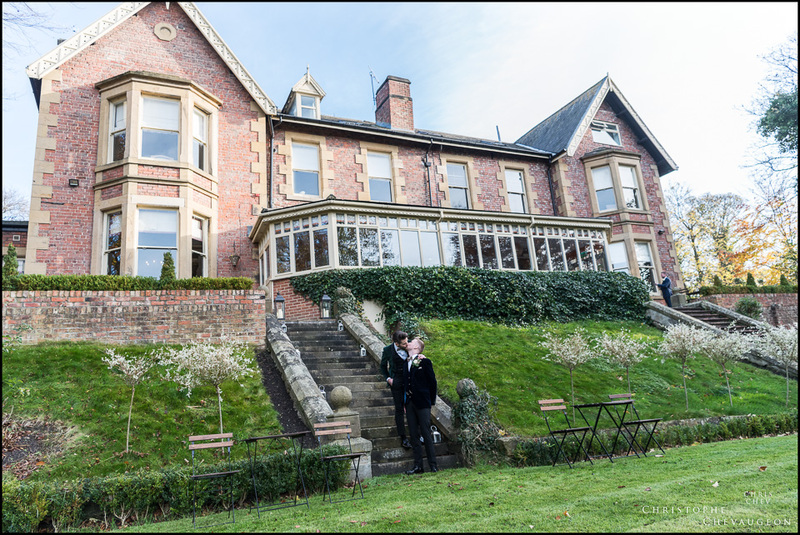 Before the Breakfast, we managed a stroll on the grounds and even more group photos before the light faded. 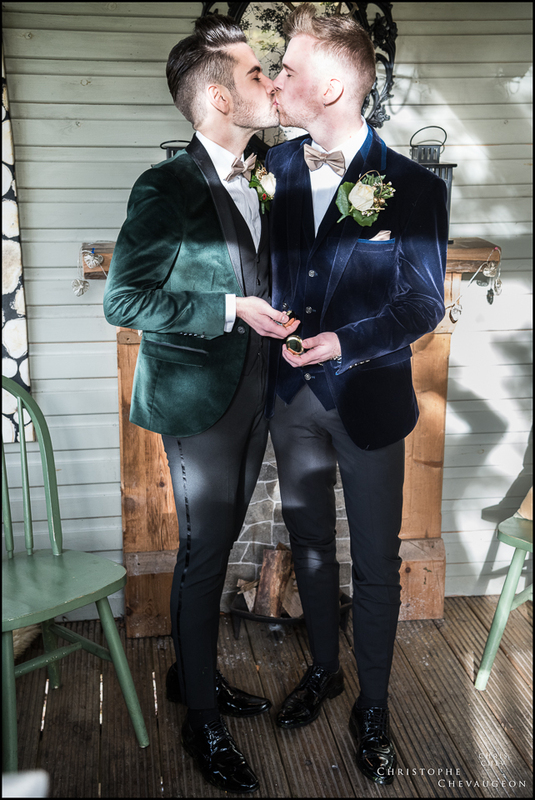 Chris and Ross were officially announced as Mr and Mr when they made their way to the head table to join their very happy and proud parents . 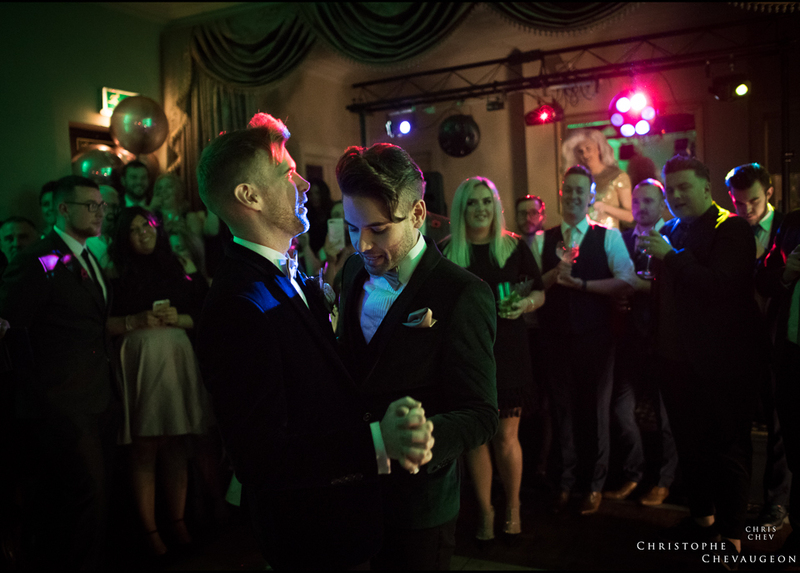 Good food, wonderful speeches, laughter: the evening flew by, all the more so that Chris and Ross had arranged for Disney-themed entertainment for their younger guests and also arranged for a magician and a photo-booth for their older guests. 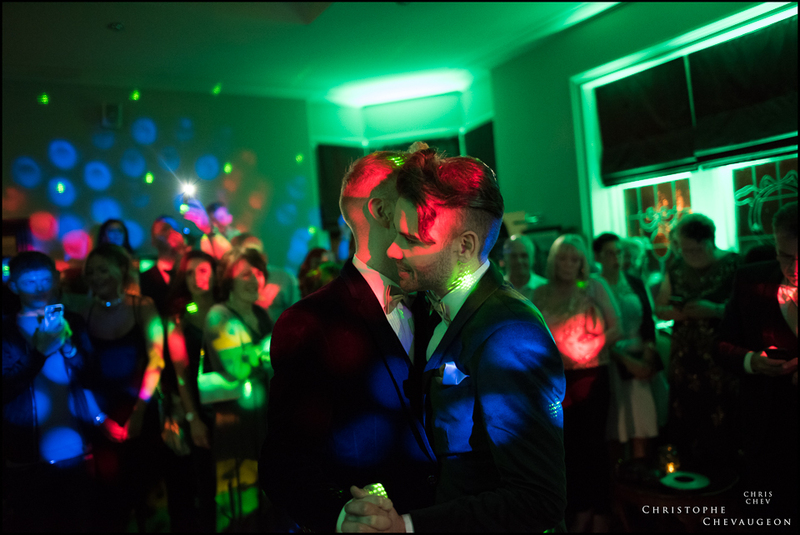 Before we knew it , it was time for cake cutting and the First Dance. 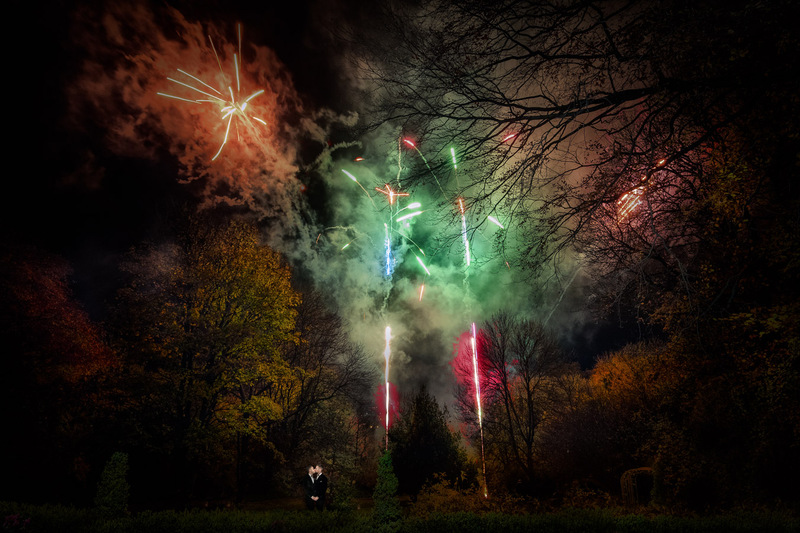 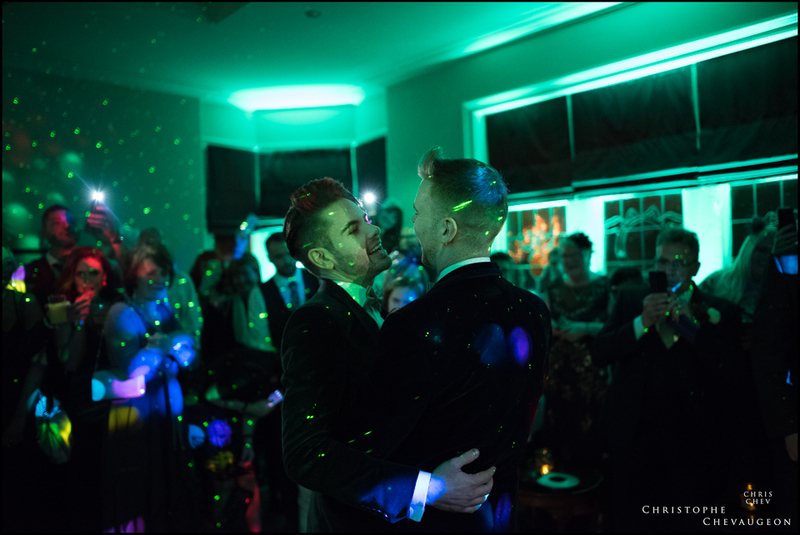 In many weddings, after the First Dance, Grooms and Guests go on to enjoy the evening, dancing and chatting the night away before going home but Chris had one last surprise for the Wedding Party: a fireworks display ! 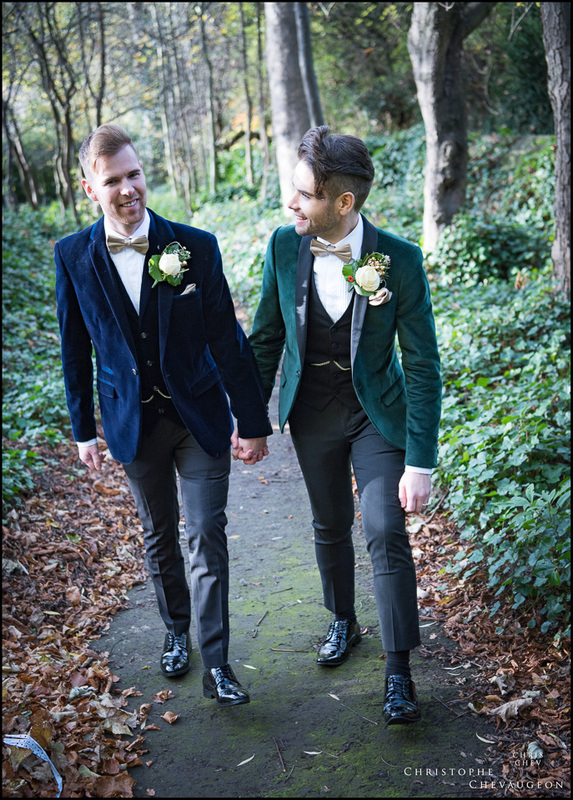 What a wonderful way to end the day ! 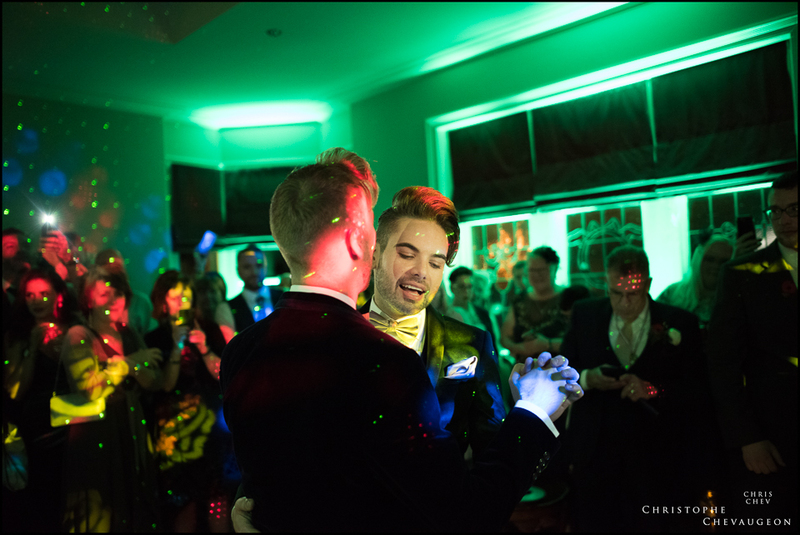 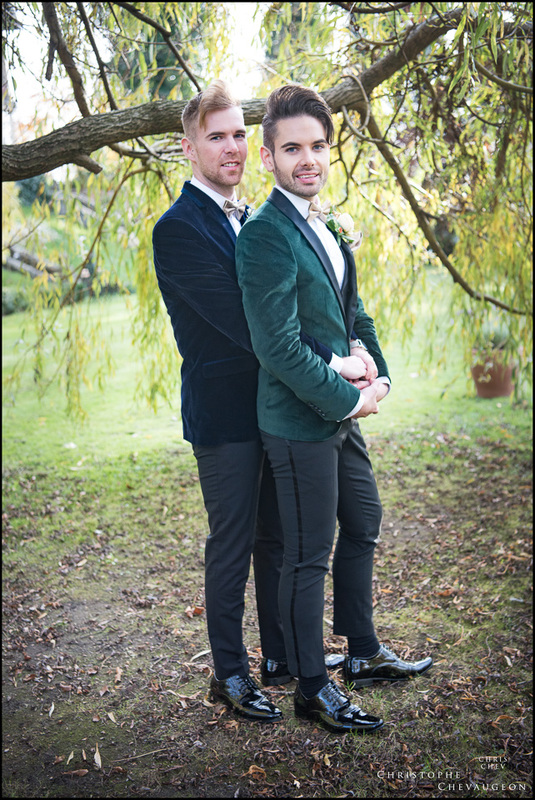 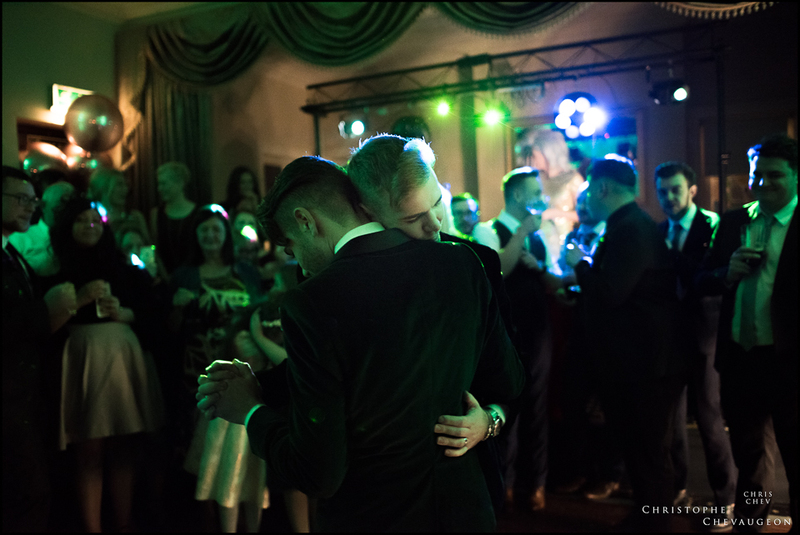 Click here to see the gallery of the 486 photos I delivered to the Grooms . 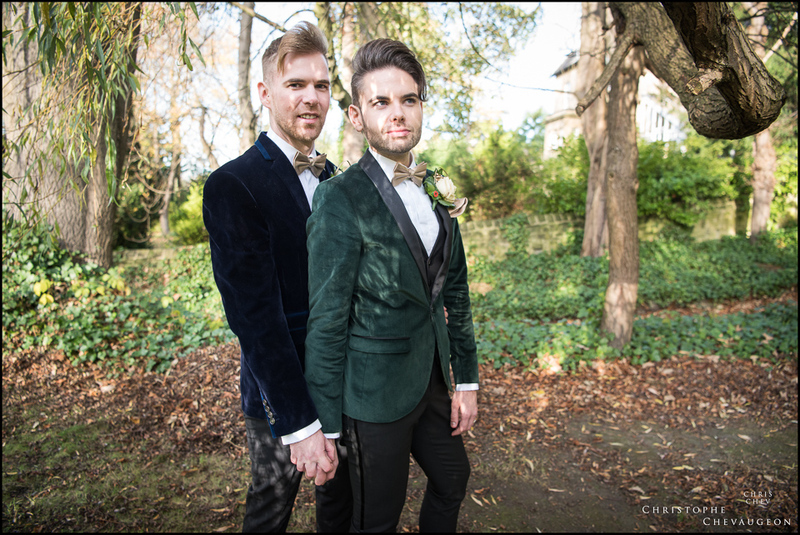 You’ll need the password from Chris and Ross.